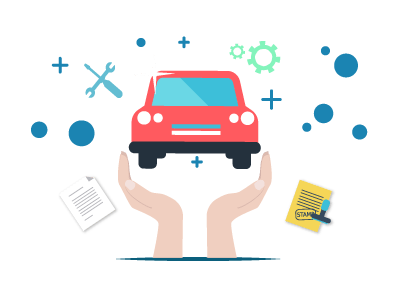 What is Loss Of Return To Invoice Add-on Cover in Car Insurances? Return To Invoice Cover or RTI is an add-on cover offered by the insurers today in India. This optional rider, when availed, covers the gap between the vehicle’s insured declared value (IDV) and the original cost of the car at the time of purchase. The premium for RTI is 10% more than the comprehensive insurance cover. When is Return to Invoice cover applicable? Return to Invoice comes into play when your car has been damaged beyond repair as a result of mishap. Under this cover, you will receive the complete compensation that equals to the vehicle's original invoice value, thus protecting you from the financial loss if your car gets stolen or is deemed as a total loss. Regular wear and tear of the vehicle, small dents or cracks, etc. are not covered under this rider. In case you have an expensive car, you can avail this add-on cover to enhance your motor insurance and protect yourself against unforeseen liabilities due to total loss of the vehicle. This add-on cover is a boon for those who have recently purchased a new car. The Return to Invoice cover is generally not offered to vehicles that are older than 3 years. This is due to the fact that vehicles over 3 years old would have high percentage of wear and tear that would impact the claim settlement where the insurers would lose money. The return to invoice add-on cover can be purchased by the policyholder when purchasing the base comprehensive car insurance policy or when the policyholder is renewing his/her car insurance policy. The return to invoice add-on cover compensates the policyholder with the complete value of the car irrespective of the current Insured Declared Value of the car following total loss of the vehicle or if the car is stolen. The return to invoice add-on cover can be purchased by policyholders that own cars that are below 3 years old. The return to invoice cover can be used by the policyholder only if the car is deemed as a total loss following an accident or a mishap, or if the vehicle is stolen. The return to invoice cover is not applicable in cases where the car is slightly damaged or dented following an accident or a mishap. The return to invoice cover is meant for cars that are less than 3 years old. Policyholders cannot purchase the car if it is more than 3 years old as it would result in the insurer suffering the losses. The return to invoice add-on cover will not be extended by the insurer if the damages to the car are deemed as a total loss following an accident that was caused due to the fault of the policyholder. If the damage was consequential, then no coverage or compensation will be extended. Only if it falls under the ‘own damage’ category will the return to invoice cover compensate the policyholder. The return to invoice add-on cover coverage does not extend coverage to damages or breakdown of the car caused by the usual wear and tear of the vehicle. Who is the return to invoice add-on cover for? Only policyholders that own a car less than 3 years are eligible to purchase the return to invoice add-on cover. If the policyholder lives in a theft-prone area, then he/she should consider buying the return to invoice add-on cover as in case the car is stolen, then he/she will be compensated the amount the car was initially purchased for. If the policyholder lives in an area that is prone to accidents, or natural calamities such as floods, landslides, earthquakes, etc., then he/she should consider purchasing the return to invoice add-on cover which will benefit him or her if any of the aforementioned situations result in total loss of the vehicle. Policyholders who own high-end cars should consider purchasing the return to invoice add-on cover. As already mentioned, following a claim, the insurance company takes into consideration the Insured Declared Value of the car before extending the claim amount. For those who do not know, the value of the car depreciates by 5% by the time the car is 6 months and stretches to 50% by the time the car is 4-5 years. Such a depreciation will be a lot when it comes to high-end cars, and if the vehicle is completely damaged or stolen, the return to invoice cover will negate the IDV and the policyholder will be eligible to get a compensation equivalent to the value the car was initially bought for. 1. How much compensation will the return to invoice cover actually pay following a claim of total loss to the vehicle or if the vehicle is stolen? When a policyholder raises a claim, the insurer will take into consideration the Insured Declared Value and subject to the current market value of the car, the coverage for damages caused to the car will be extended to the policyholder. The return to invoice cover will cover the difference between the IDV of the car and the initial value of the car following a claim for total loss of the vehicle or if the vehicle is stolen. With this add-on cover, the policyholder will be compensated with the complete value of the car rather than receive a depreciated value, which would be the case only with the base comprehensive car insurance policy. 2. What is total loss of the vehicle? Total loss of the vehicle is basically a point where the car is damaged at a point that it cannot be used again. A total loss could arise from an accident or a natural calamity or if the car is stolen. Once the car is deemed as total loss, the vehicle registration is terminated. 3. Is it possible to have the return to invoice add-on cover if I have only a basic third-party car insurance policy? No, the return to invoice add-on cover can be purchased only if the policyholder has a base comprehensive car insurance policy. It cannot be purchased if you have a third-party insurance policy. 4. What are the exclusions of the return to invoice cover? The return to invoice add-on cover can be used only if the car of the policyholder is less than 3 years old. If it is more than 3 years old, the return to invoice add-on cover cannot be used. In addition, all the other exclusions as listed for the base comprehensive car insurance policy are applicable for the return to invoice add-on cover. For example, if the damage caused to the car resulting in total loss of the vehicle was consequential and was the fault of the policyholder. 5. Can I buy the return to invoice cover anytime of the year? The return to invoice add-on cover can be purchased when the car owner is purchasing the base comprehensive car insurance policy or when he/she is renewing his/her car insurance policy.